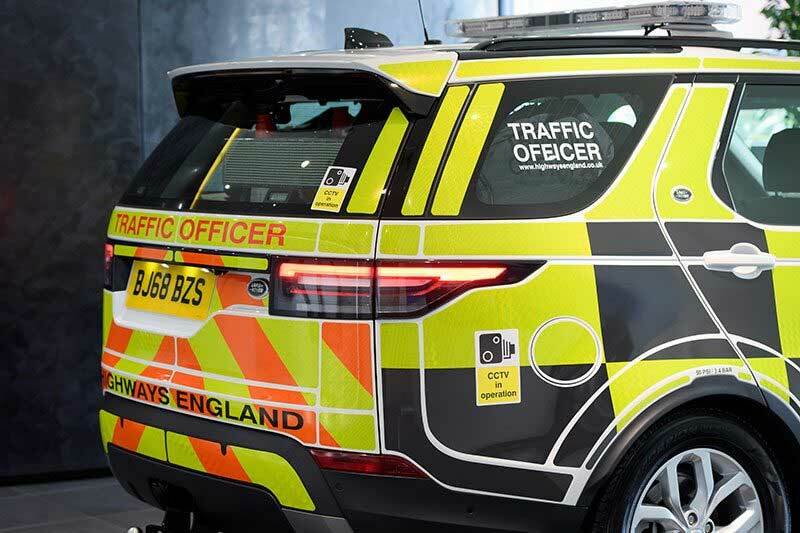 Fortunately, the Discos will be easy to spot, as they will be painted in the famous high-visibility checkerboard "Battenberg" pattern used in Europe, in this case the yellow and black variant used for Highways England. Generally they will be more focused on traffic management and dealing with emergencies than catching speeders. The 70 Discos will all be the base SE trim, with the Sd6 diesel engine. 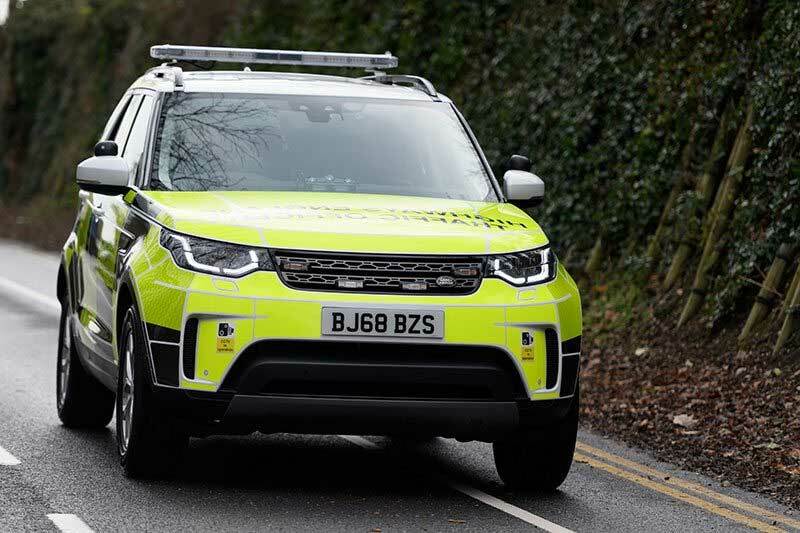 They've all been modified with the usual patrol trappings: flashing rooftop light bars, rear LED message boards, and a reinforced load area. The Disco's generous towing capacity and plentiful torque will help it to pull disabled vehicles from the highway, and its generous payload is more than enough for the 1300 pounds of safety equipment each truck will carry. The trucks are expected to cover 250,000 miles across England during their 4-year service life, working around the clock to keep traffic moving. This continues a tradition of public service that has been part of the Discovery's role for its entire 25-year existence. Discos have served as just about every kind of public safety vehicle you could think of, within reason. Now, this next generation will take over from the fleet of Discovery 4s that are ready to retire.